Welcome to the 3rd day of Neat & Tangled sneak peeks! I am very, very excited about today's new sets, Typed Sentiments and Skinny Strips! 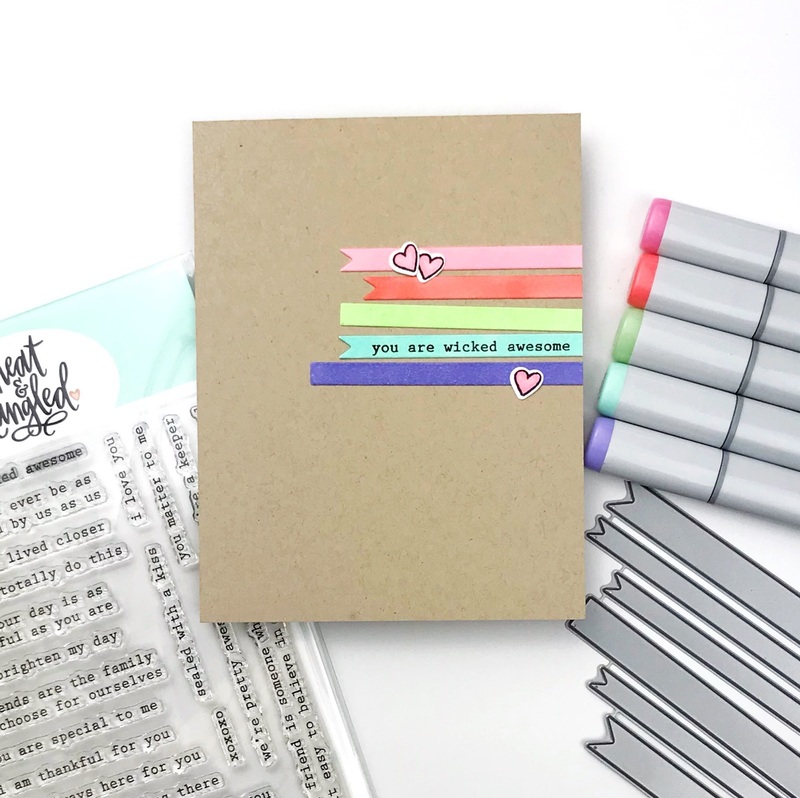 This sentiment set is full of AWESOME phrases like the "email is good but letters are better" that I used on Monday. 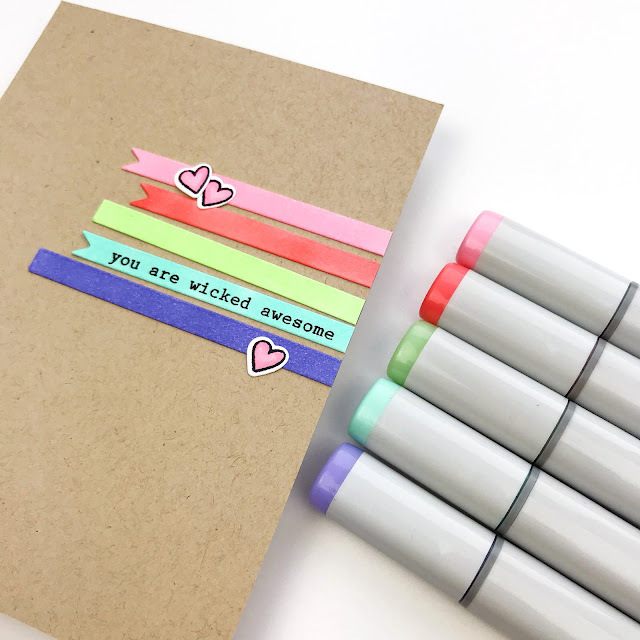 And how fun is "you are wicked awesome"?! This set is a must have!!! without a lot of fluff. Fabulous card! I love the CAS design! FYI, if people are still having problems with posting, the only way that has been working for me to comment has been to open the "post a comment" in a new tab. Love this card! The colors you chose and the great sentiments paired perfectly on the kraft colored base. So sweet, simple and beautiful! Simple and adorable! The "you are wicked awesome" sentiment is so New England, specially Rhode Island where I live! So fun!